not only in lessons, but she freely shares her knowledge of art. She takes away the fear." 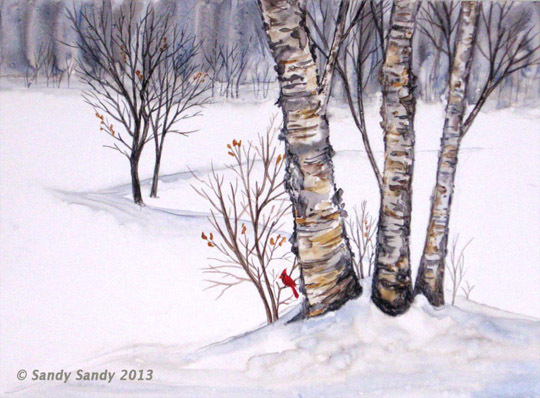 See Sandy's Gallery of Watercolor Trees here. In the morning, we’ll start out with small pieces painted wet-into-wet on cotton rag paper and then move on to doing the same subject on Yupo paper, trying various techniques and approaches. In the afternoon, we'll continue building our watercolor skill set by exploring techniques and approaches for working on user friendly, forgiving Yupo paper. 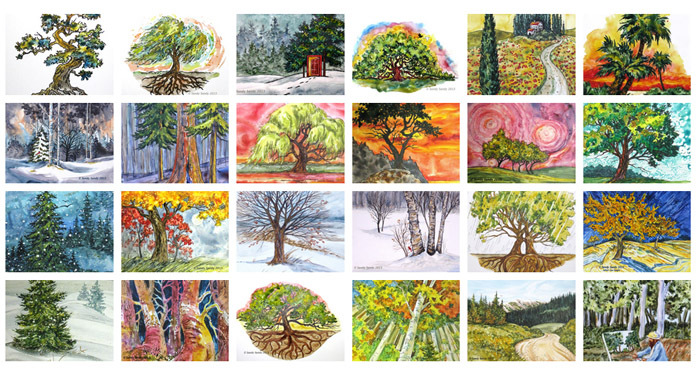 You will have the option to mat any of the amazing paintings you produce. Price includes all instruction, substrates and lunch! "I have small, round, covered plastic palettes available for purchase.